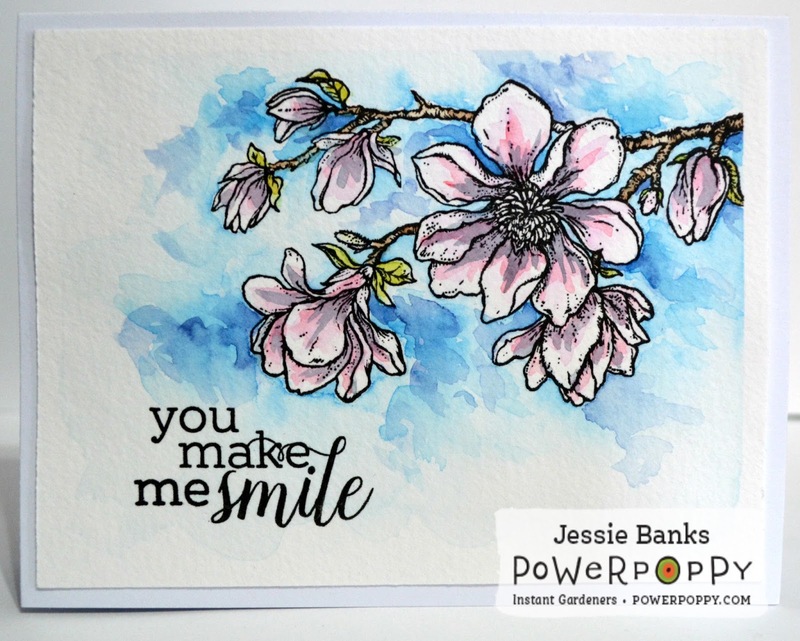 Hey everyone Jessie here today sharing another watercolour card for Power Poppy with you all today! I hope you enjoy it as much as I did creating it! 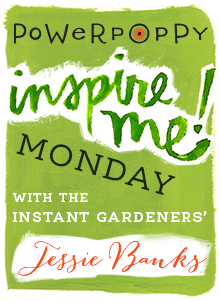 I am thrilled that I will now be able to share an Inspire me Monday post with you all every month! 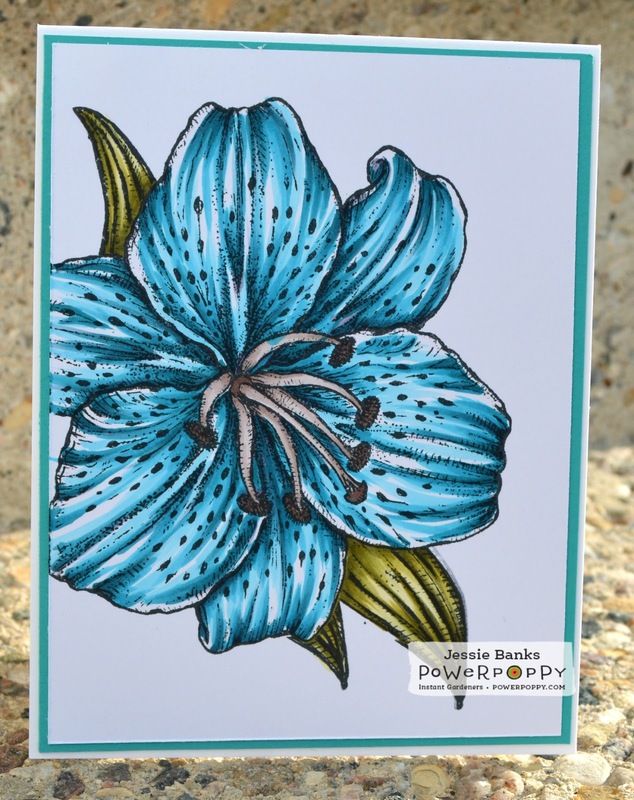 I stamped out the branch of flowers from the Planning For Magnolias stamp set using Versafine Onyx Black ink on Fluid watercolour paper. I painted the image with my Schmincke and Daniel Smith watercolours (there is a process video for you here in this post.) After everything was nice and dry I stamped the sentiment from the Prairie Cheer Set! I have recently created a facebook group, that the wonderful Marcella told me to share with you all! The group is called Cards and Colour! In the group I am doing one or two live colouring events a month using different colouring mediums (There is even one coming up for Power Poppy, shhhh!!) It’s also a place where we chat about different things with colouring and stamping and share everyone’s wonderful makes, I would love you to come join us! Now that is enough of my babbling and on to sharing the video! Hey everyone, I have a couple of fantastic things to share with you all today! First of course is the image Spectacular Soiree by Some Odd Girl! Do you see all of the fastastic die cuts on this card, that show off that image ever so well! Well those dies all come from Diemond Dies, and I have the honour of being one of their Guest Designers! The front of my card was cut with the Labels 2 Top Notes die set, I cut the circle around my image with the Die-Normous Stack-Ems Circles Nesting Die Set, and I used the Natures Flourish Die to highlight my flower cluster. If you would like to save 10% and get yourself some of these wonderful dies, I would love for you to use the code thanksjessie at checkout!